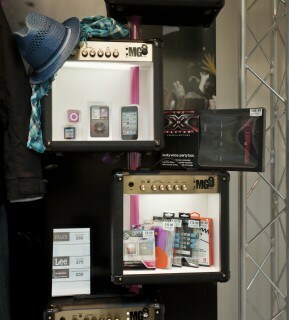 Design4Retail designed and produced this impactful window display for leading High Street retailer HMV. They have historically been associated with selling Music, DVD and Games but their offering is actually so much more. HMV have been stocking music-inspired street and fashion wear featuring brands such as Boxfresh, Lee Jeans and Fly 53 and have also shifted towards selling technology products for entertainment in the home and on the move. This diversification follows HMV's recent move into live music and festivals making HMV a one stop shop for all music lovers everywhere! The brief was simple, make fashion wear and technology stand out from a window and draw customers inside to these departments. Playing on the music link to gigs and concerts we custom built some rigging to sit in the window and frame the window display. Speaker amps were used to display the product and a life-sized frame was dressed in branded clothing to give the illusion of someone at the gig. 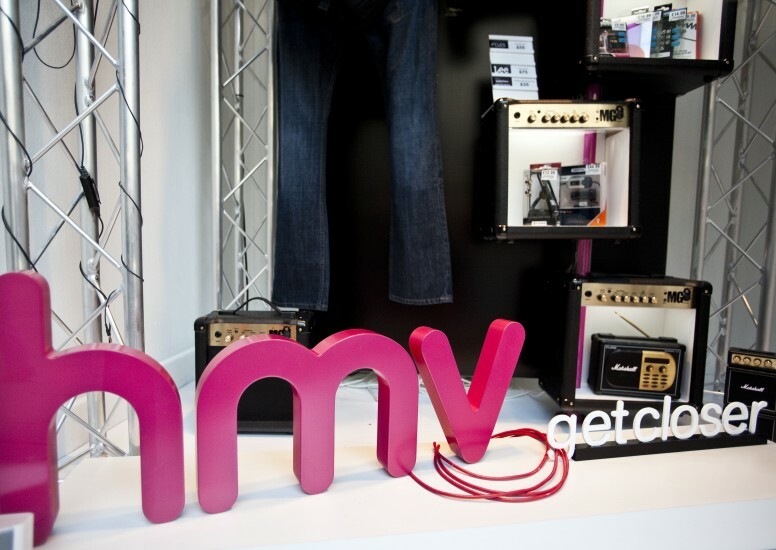 Large Pink HMV lettering stands out on the base with HMV'S 'get closer' tagline stood next to it. To finish the display off there is a large crowd scene backdrop and stage lights add additional light to the window. 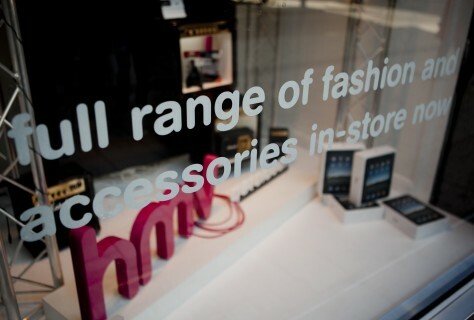 We have loved working with HMV on this retail design project and are looking forward to working with HMV on more window displays as their fashion wear and technology offering grows!